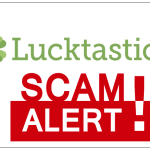 As sad as it may be, the truth of the matter is that lottery scams will never disappear. As long as there are gullible people out there, fraudsters will be attempting to take advantage of them. These scammers are becoming more and more inventive. Originally, they focused on big lotteries like Powerball and Mega Millions. Today, they have branched out in other directions. The FreeLotto scam is just a simple example of them going too far. Before exploring the scam itself, let’s take a look at FreeLotto and whether it’s 100 percent legitimate. FreeLotto.com is a sweepstakes website. Players can join for free and depending on their luck, it’s possible to win awards of up to one million dollars. There are multiple sweepstakes-style games, as well as online lotteries exclusive to the website. Depending on your preferences, you could either pick your own numbers and test your luck, or you can enter the other FreeLotto games. The prizes vary from a car to cash prizes in the range from 10,000 to one million dollars. You may be wondering about how would such an opportunity be entirely free of charge? FreeLotto relies on ads being displayed during your playing experience for the purpose of revenue generation. In a sense, your participation in the different lotteries will be making the website cash. Players are notified via a daily email about any prizes that they’ve won (do you see how this opens up the possibility for scams?). Results can also be verified via the website. The official rules feature a detailed procedure that pertains to claiming a prize, as well as the deadline for doing so (30 days from the date on which the results are announced). Both 2018 and 2017 have seen scam attempts that involve the name of FreeLotto. The fraud is committed by people who pose as FreeLotto officials, but obviously have nothing to do with the website. Usually, the scam is carried out via email. People who have never joined FreeLotto get a mail that says they’ve won a huge amount. In order to claim the respective prize, the player is asked to reply to the email with extensive personal information, including credit card and bank account number. While the official FreeLotto does contact players via email to tell them that they’ve won, players are never asked to share information in a reply. Rather, they’re sent to the official rules to begin the prize claim procedure. According to the official FreeLotto website, there have also been scam attempts carried out via text messages. Both the text messages and the emails are phishing attempts. Once the fraudsters get hold of personal information, they can actually access funds and make withdrawals or commit identity theft. As a general rule of thumb, you should never provide personal information in an email. In addition, you should be provided with terms and conditions, as well as the manner in which the respective entity is going to protect your data. That’s how legitimate companies operate. What to Do If You’re Ever Scammed? 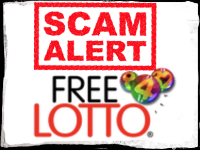 If the FreeLotto scam perpetrators ever come in contact with you, keep in mind that an official lottery or a sweepstakes website will never ask you to pay a processing fee or to share highly sensitive information via email. The FreeLotto email contains solely an information about drawings, winning numbers and winning players. Making the prize claim is entirely up to you. If you’re wondering about the legitimacy of the opportunity, know that FreeLotto emails will not come from a Gmail account, a Yahoo account or a shady host you can’t even recognize. 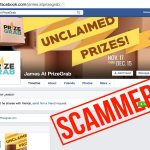 You can report fraudulent emails, text messages and even people who impersonate lottery officials and contact you via social media like Facebook and Instagram. The first thing to do is to contact the FreeLotto team. It’s best if you have a copy or a print screen of the email/text message. FreeLotto will carry out the investigation and contact the respective authorities for the purpose of figuring out where the fraud scheme originated from. Send information about any suspicious activity at [email protected]. 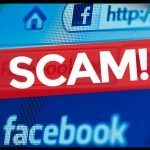 People who live in the US can also get in touch with the National Fraud Center – an entity that’s responsible for investigating all types of scams (even the smallest fraud schemes out there). When you visit the center’s website, you will immediately see a button and a link that allows you to file a complaint. Most countries have a similar authority and it’s usually a good idea to submit a report when you believe that you’re being scammed. If there’s no such organization responsible for cybercrime locally, get in touch with the FreeLotto team at the email mentioned above ASAP.